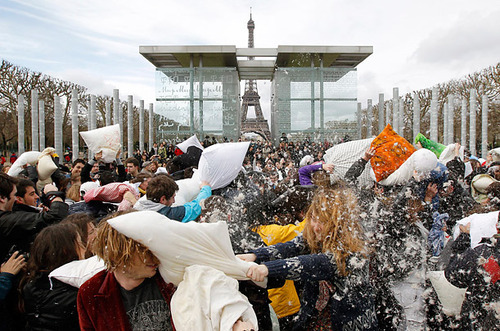 Over the weekend, crowds gathered in 150 cities worldwide to whack each other with pillows. The events were organized through social networks. Most of the fights lasted no more than a few minutes. TIME is on the scene.